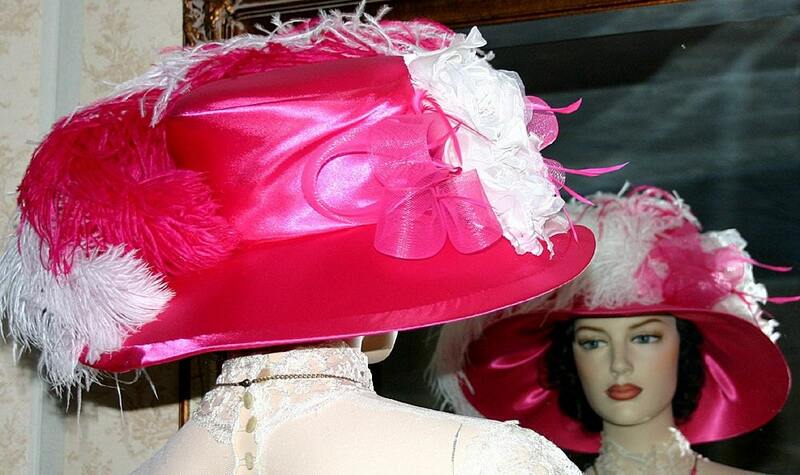 Kentucky Derby Hat "Mademoiselle Monet" is perfect for your Downton Abbey Hat too. 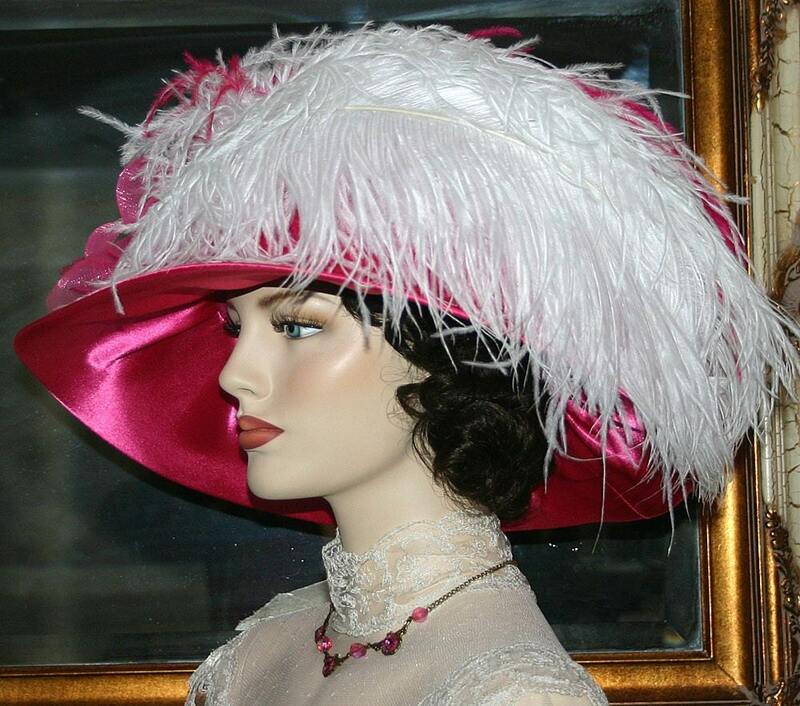 It's buckram covered in fuchsia pink satin. 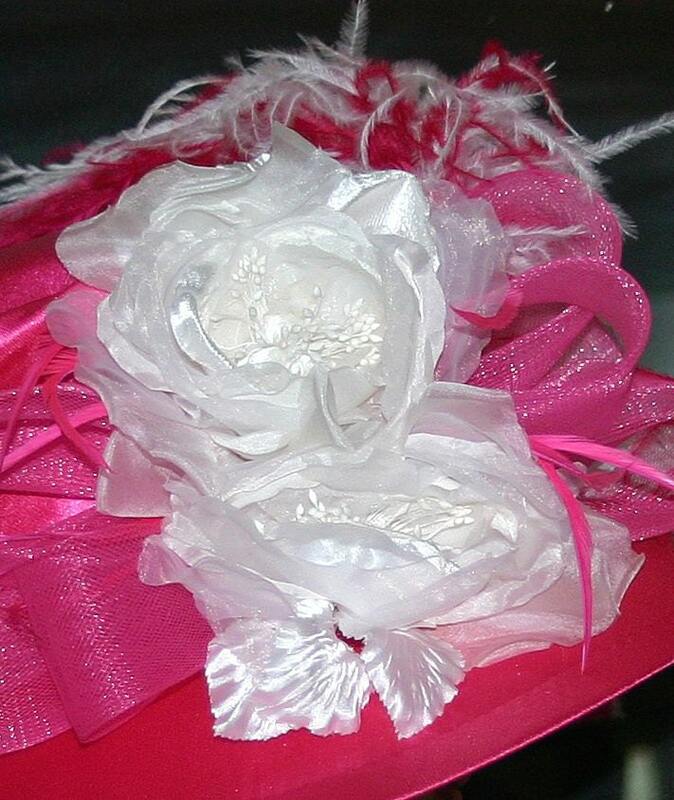 The hat is accented with loops of pink designer horsehair and delicate goose biots; two beautiful and delicate open face white millinery roses are the focal point. 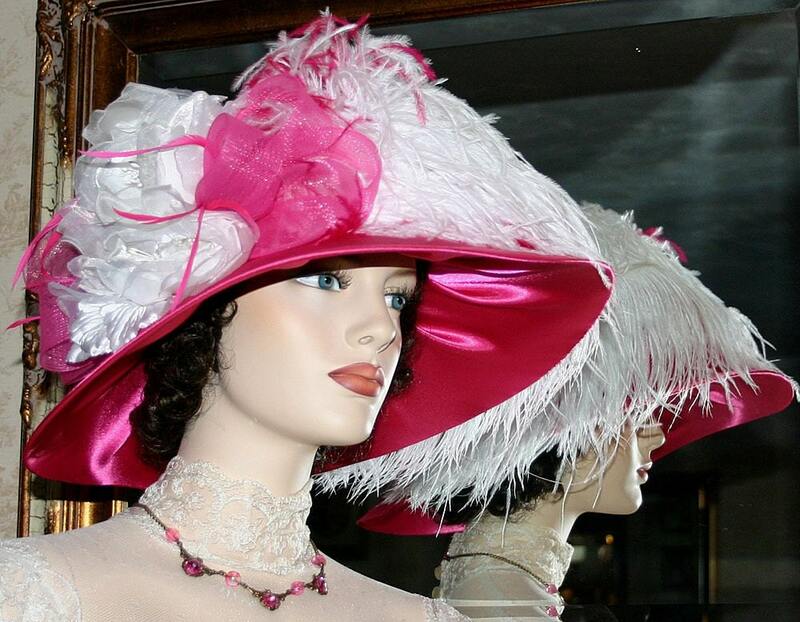 The front and side of the hat are adorned with 3 gorgeous imported from Spain and hand dyed feathers; 2 white and 1 hot pink. 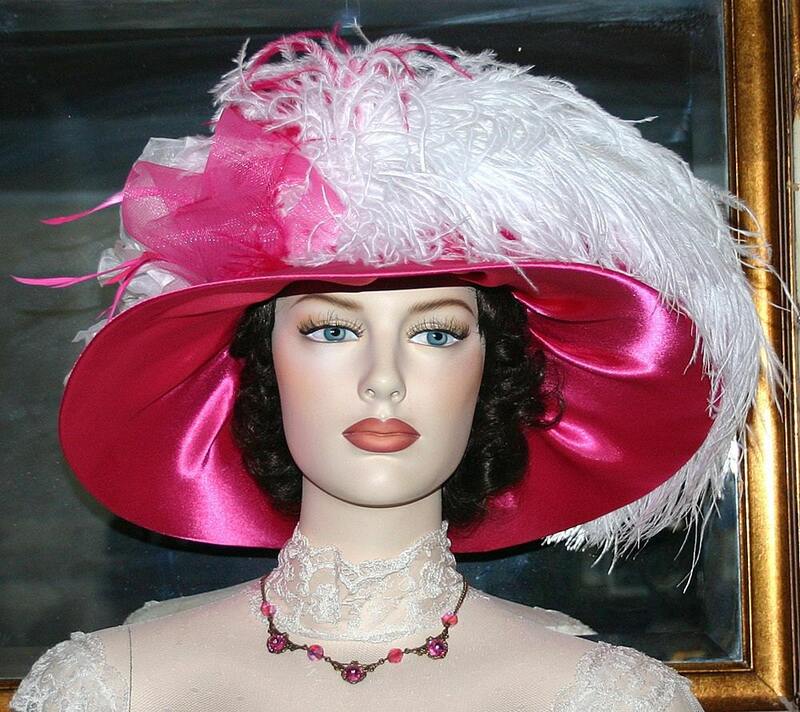 This hat will be fantastic for church, wedding, Edwardian tea party, Kentucky Derby or Ascot. This hat size measures 22 inches and if needed I can include a hat size reducer so it can be made smaller for a perfect fit. Please see instructions below: How to measure your head.